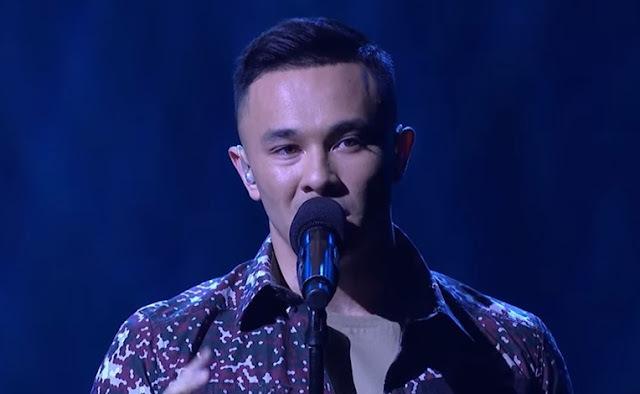 On November 2 episode, the 19-year old singer impressed the judges with his rendition of Bob Dylan's "Knocking On Heaven's Door." “Cyrus, the question is not what can you sing but what can’t you sing. I think I have caught the Cyrus virus!” judge James Blunt praised Villanueva. Meanwhile, Groups category mentor Guy Sebastian who gave him the song choice was also amazed by his performance. “I was a massive Guns ‘N Roses fan growing up and that was one of my favorite songs and the thing I love about that song is the ability to dig and really sing that from the gut. And you know what? You really did that. It started in all the right places. It was soft and subtle and beautiful and when you ended up, it just made me get out of my chair and do a dance. It was amazing!,” Guy said. Cyrus is part of the competition's Under 25 Boys category. Last year, Filipino Marlisa Punzalan was named grand winner of X Factor Australia. (Read: Pinay teen Marlisa Punzalan is 'X Factor Australia' 2014 Grand Winner).